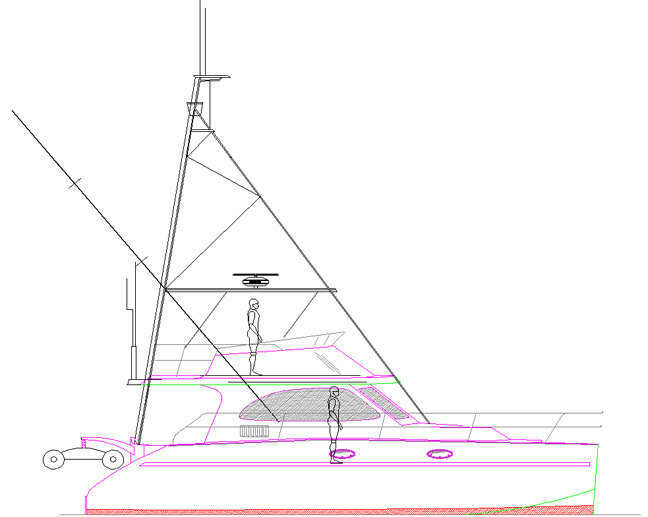 CATAMARAN 65 MS - Plans and Cutting files for Aluminum. 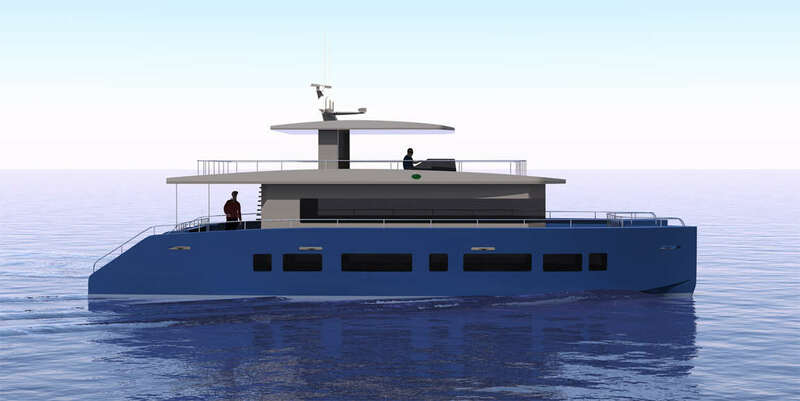 These new Catamaran designs are based on our wide experience in designing our existing range of cats including the extensively cruised and well proven Euro Cat 2000, Cat PS 35/36, Cat PS 395/400 ; etc. 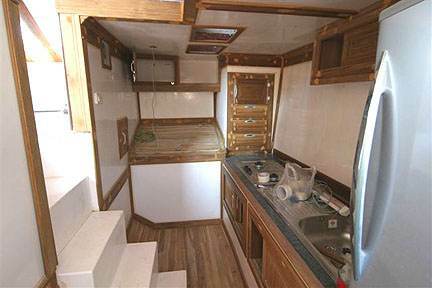 These new roomy and comfortable serious off-shore designs will take you anywhere you want to go! 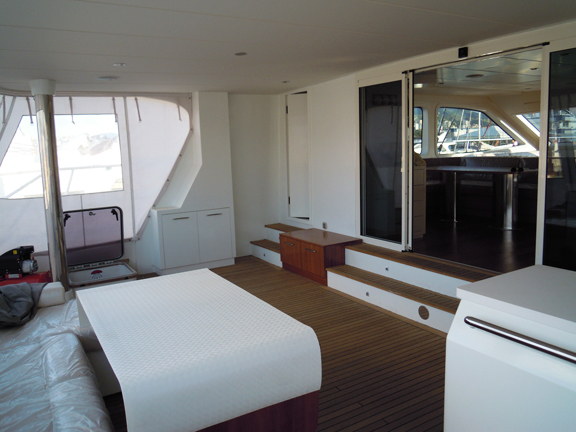 Each STUDY PLAN contains ALL the construction drawings for ALUMINUM as applicable to the particular boat plan - with up to 25 sheets per plan! Lists of materials - Technical information - Numerous construction drawings are all included. You can view & print the drawings in full or in sections. BUILDING PHOTOS are included in the study plan package. 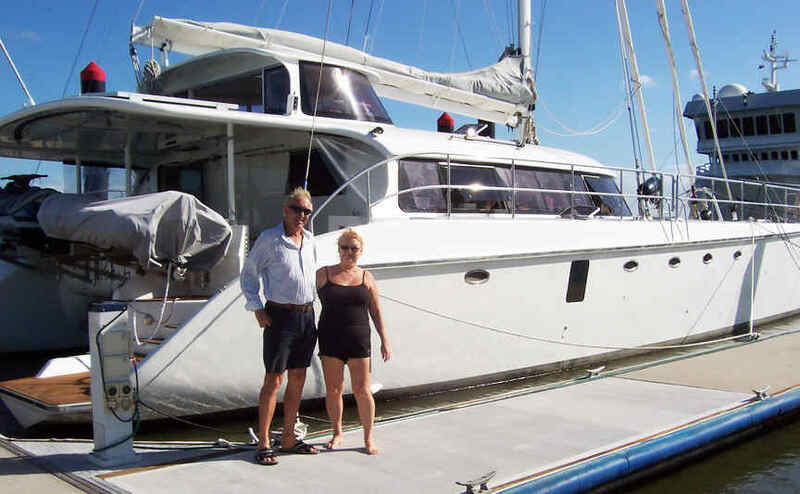 e-book BUILD YOUR OWN (Sail or Power) BOAT you receive a FREE (value 79.95) e-book BUILD YOUR OWN (Sail or Power) BOAT. When you use your credit or debit card you will be charged at the correct exchange rate in your own currency. 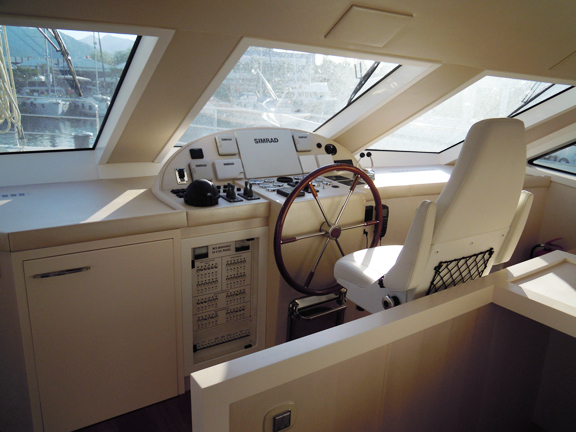 Each plan contains all the construction drawings for FIBERGLASS, ALUMINUM construction, plus bonus drawings covering electrical, plumbing and engineering, everything you need to build your boat. L.O.A. 18.51 m 60' 9"
L.W.L. 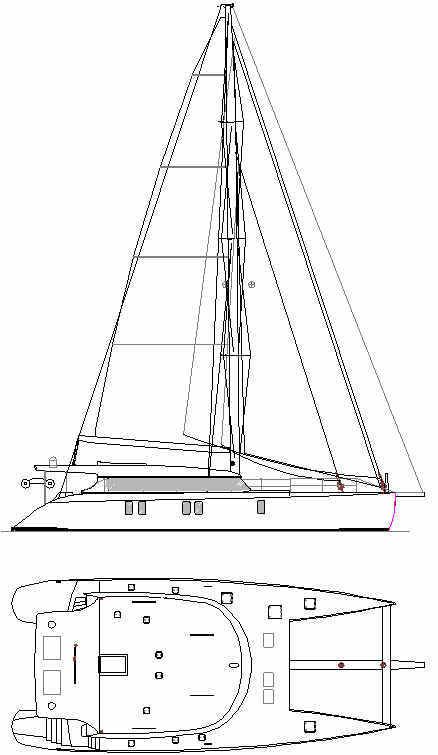 16.96 m 55' 8"
DRAFT 1.49 m 4' 11"
BEAM 7.31 m 24' 0"
New range of aluminum Sailing Cat Plans and Full Size Frame Patterns. If you are interested in any one of these new designs ... Contact Bruce by email so that some of YOUR ideas can be incorporated into the design. 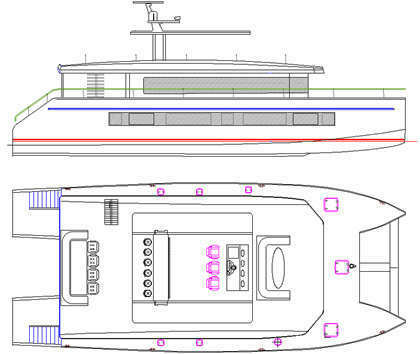 Here we show a proposed new Cat which is a smaller version of the proven Euro Cat 2000. 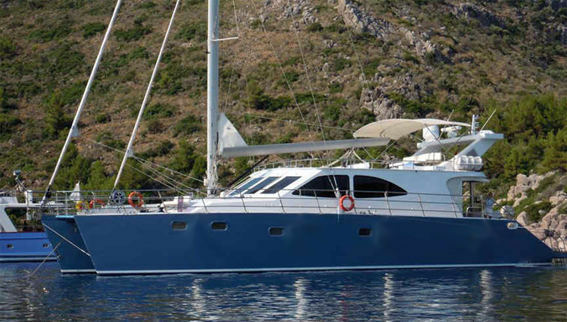 This is roomy comfortable serious off-shore design that will take you anywhere you want to go ! This is your chance to have a custom design at a reasonable cost. If you are interested in this new custom design please Contact Bruce by email for additional information. 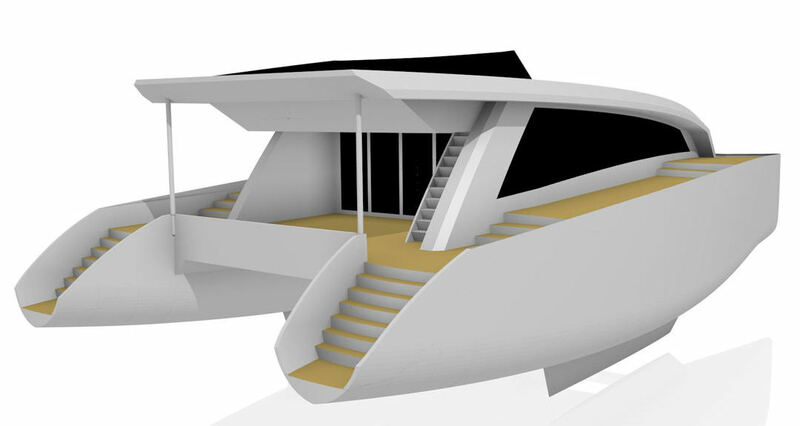 Work boat and Ferry versions are available. 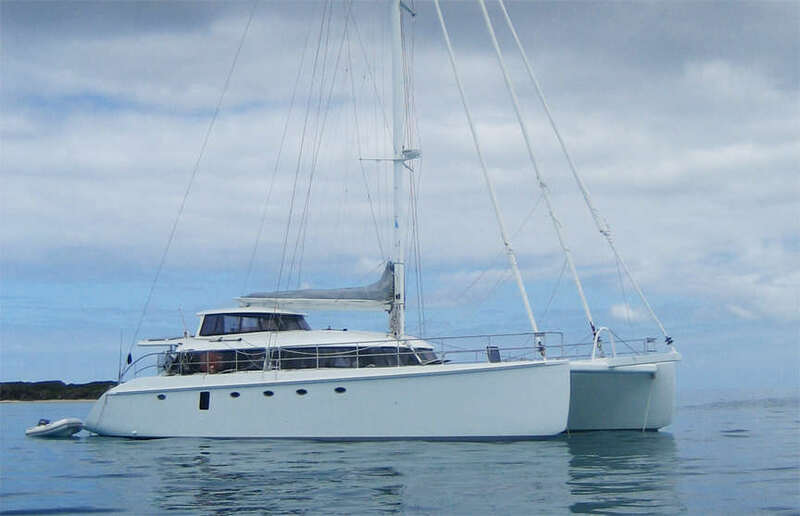 This CAT was designed for personal use or charter work & accommodation was laid out with that in mind.